Sadly, summer is coming to an end here in the states, but fortunately you can experience an endless summer in Jamaica. 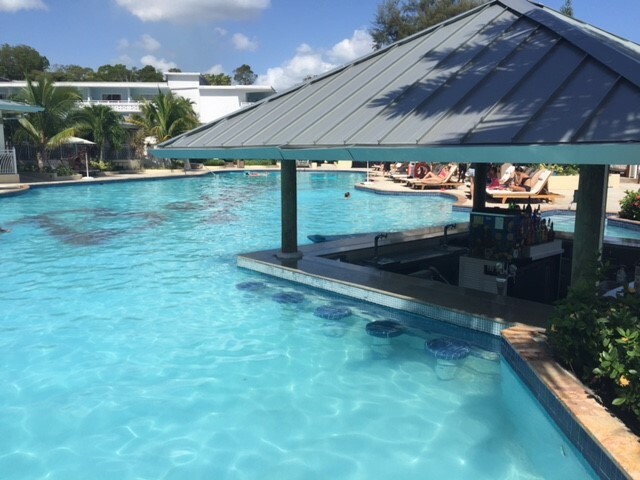 With weather ranging from mid-70s to the high 80s all year-round, it's always a right time to travel to Jamaica. Sadly, summer is coming to an end here in the states, but fortunately you can experience an endless summer in Jamaica. With weather ranging from mid-70s to the high 80s all year-round, it's always a right time to travel to Jamaica. However, late September until mid-December the island's already beautiful weather is the most pleasant and hotel and flight deals are easier to come by. January to March meanwhile, is considered the peak travel season to the island, so right now during the low season you'll have a better chance to appreciate the local food, culture and activities without the crowds or cruise lines. There are plenty of flight options through either of the three international airports on the island: Sangster International Airport in Montego Bay (MBJ), Norman Manley International Airport in Jamaica's capital city Kingston (KIN) and the Ian Fleming International Airport (OCJ) in Ocho Rios. 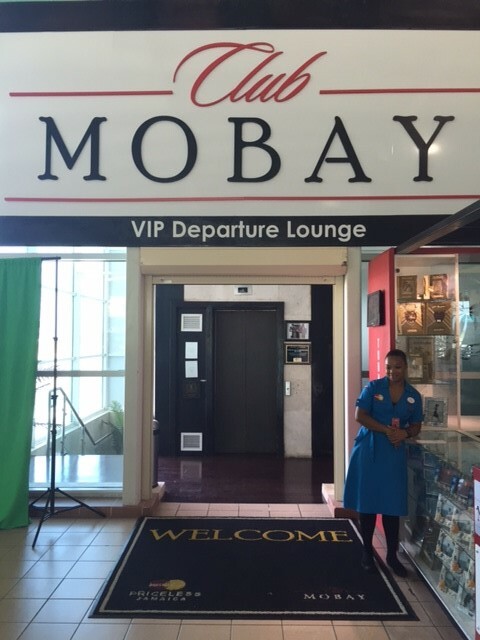 Booked through Funjet Vacations, we flew direct into MBJ and were greeted by a Club Mobay representative who escorted us to a fast track lane that bypassed the long lines at immigration. The same applied for our return flight along with access to an airport lounge. This VIP airport service is offered at both MBJ and KIN airports. Definitely worth booking this add-on service with a traveling representative ahead of time, especially if you are flying with kids as it made going internationally a whole lot smoother. 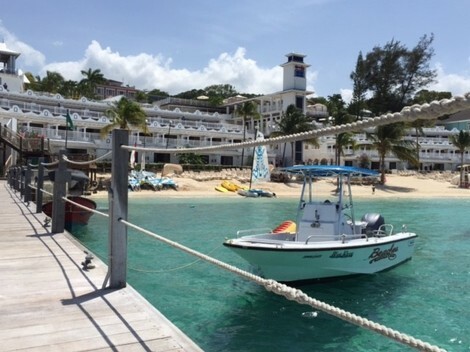 With kids: Beaches Ocho Rios all-inclusive resort in Jamaica was voted among the Top 10 Best Beach Resorts by Parents magazine and has something for everyone in the family. This ideal family beachfront getaway offers a private Jamaican paradise with twenty-two acres of lush tropical gardens and gorgeous private white-sand beaches, to six gourmet restaurants, a waterpark and included water sports and golf. Read more about traveling with toddlers to the resort at TravelingMom.com. 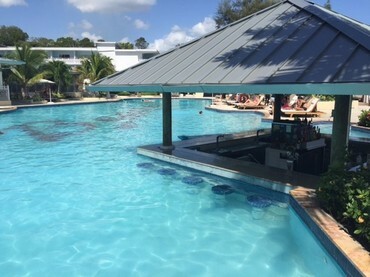 With friends or partners: Sandals Ochi Beach Resort in Ocho Rios, "luxury included" all-inclusive resort, features nearly 500 rooms that have been completely refurbished over the past year. Off-the-beaten-path: secluded and poised on the limestone cliffs of Negril's scenic West End in Jamaica, The Caves offer only 12 exclusive cliff-side accommodations with private cave dining into the aqua waters. As if the gorgeous beach and plethora of water sports wasn't enough, the following activities will be sure to make for an even more memorable and brag-worthy trip. 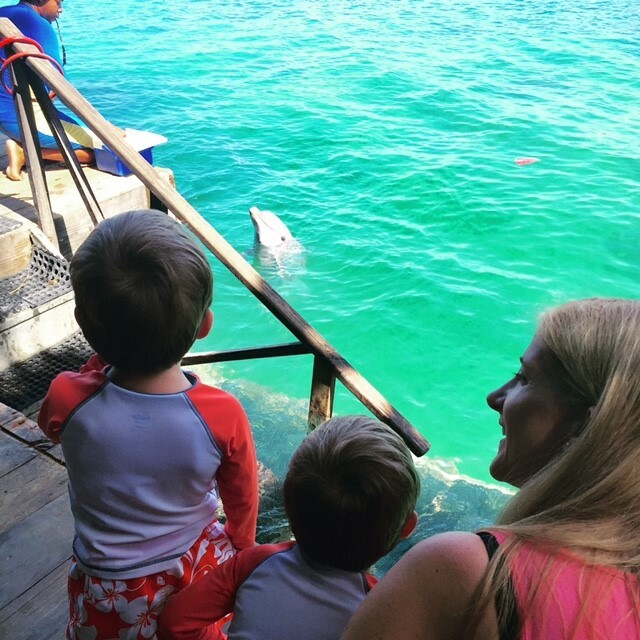 Swim with Dolphins, Sting Rays & Sharks - Dolphin Cove is a marine park which allows visitors to swim with dolphins and snorkel with other aquatic life in their natural environment. We did the dolphin encounter, which also allowed our toddlers to participate by kissing and petting the mammals in shallow waters. There is a small petting zoo area and live shark shows for guests to watch too. Discover history & nature - Green Grotto Caves are said to have provided shelter for Jamaica's first inhabitants, a haven for 'runaway slaves' in the 18th Century and used by smugglers running arms to Cuba and in more recent times, sections of the Caves were used as a rum storehouse. A tour of the Green Grotto Caves provides an inside look at this natural wonder and into Jamaica's history. Eat jerk flavored chicken - Jerk is a style of cooking native to Jamaica in which meat is dry-rubbed or wet marinated with a very hot spice mixture called Jamaican jerk spice. There are huts and restaurants all over that serve jerk chicken or pork for tourists and natives alike. If near Ocho Rios try Scotchie's restaurant! Zip lining - Fly through the Caribbean forest and experience nature and adventure at its best! Chukka Caribbean Adventures - Montego Bay is open daily. For those 10 years and up. Hiking-Blue Mountain Peak is the highest on the island rising to a height of 7,402 feet. The 14-mile Peak trail up and down the misty Blue Mountain tops takes about seven hours or 2 to 3 hours from the Portland Gap rest stop. Tour a Coffee Estate - The Blue Mountains aren't just for hikers and bikers, but also the source of the world famous and fragrant Blue Mountain Coffee. The Old Tavern Coffee Estate treats guests to a lesson on coffee growing and production as well as a tasting session.